Ben '92 and Kathy '91 Mathis have seen their Texas A&M education take them around the world while working in the oil and gas industry. 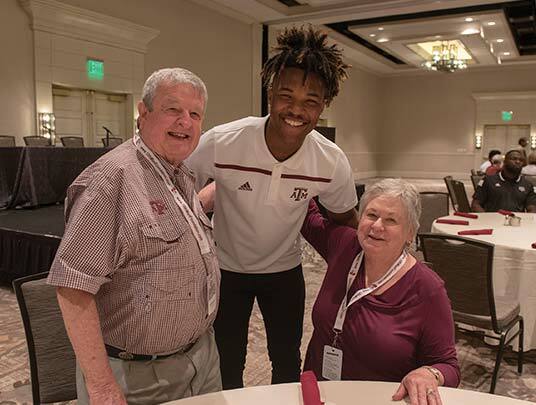 The couple, now back in the Lone Star State and settled in Katy, have been longtime supporters of A&M Athletics regardless of how far away they have lived. 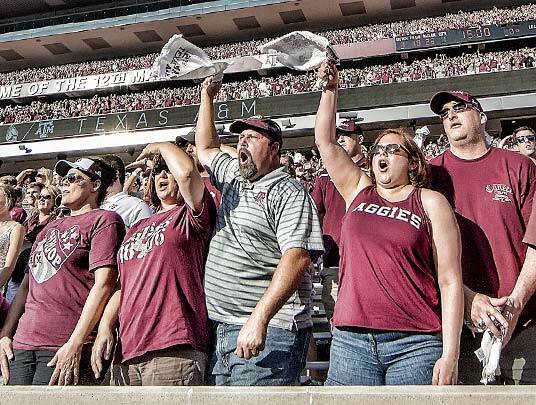 Through their consistent annual contributions to the 12th Man Foundation, Ben and Kathy have helped fund scholarships and programs for Aggie student-athletes. 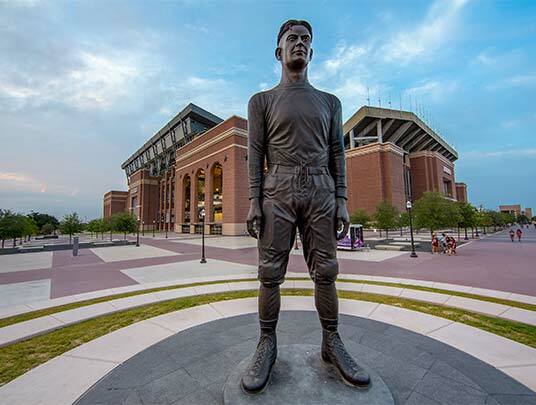 "To know that it's going to a good cause…it's people that have the same vision that you do for Texas A&M, and it's helping student-athletes…it's a good deal," Ben said. Ben grew up loving A&M thanks to his father, Harry. The Air Force sent Harry to A&M for his master's degree, and when he later retired from the service, the Mathis family returned to College Station so he could pursue his PhD. Ben graduated from A&M Consolidated High School and enrolled at Texas A&M, earning a bachelor's degree in petroleum engineering in 1992. His desire to pay it forward can be traced back to his time as a student. Billy Pete Huddleston '56, a former professor and Junction Boy, made a lasting impression on Ben beyond his expertise in petroleum engineering. "He preached to us the importance of giving back when you have the ability to," Ben recalled. "And that has stuck with me over all these years." Kathy earned a bachelor's degree in applied mathematical science from A&M in 1991. Despite being just a year apart, she did not meet Ben until right before he graduated. And where did this relationship, which is coming up on three decades strong, begin? "We met at The Chicken," he said. Their careers have taken Ben and Kathy from Texas to Louisiana to Indonesia, back to Texas, then to Oman, on the coast of the Arabian Peninsula, before returning to Texas again. 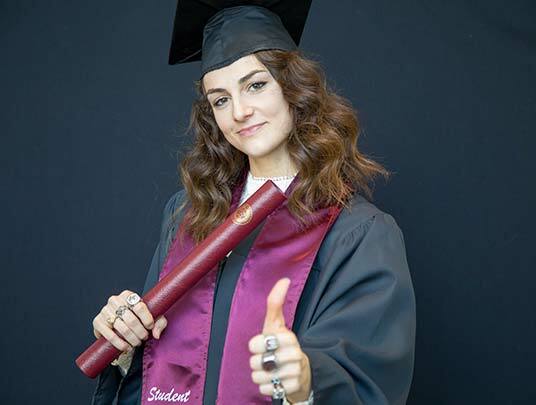 Throughout their travels, they always found a way to stay connected to the place that means so much to them, usually by finding fellow Aggies wherever they've been. They even helped start the Oman A&M Club in Muscat, the country's capital. "Having people around that have the same knowledge of A&M that you do made it real easy living overseas," Ben said. In the seven years they've been back in Texas, Ben and Kathy have increased their involvement as season ticket holders in football and baseball, and as members of the Athletic Ambassadors program. They attend games when they can, but their two sons have kept them plenty busy. Their youngest, Braden, is a rising senior at Katy's Seven Lakes High School. Their oldest, Connor, is a member of the Class of '21 and is studying chemical engineering. And when the time comes to retire, don't be surprised if Ben, currently the vice president of operations for Penn Virginia Corporation, comes full circle and calls College Station home once again. "We'll probably end up retiring there, mainly because it's almost year-round sports," he said. "There's always something to see and do." With their consistent contributions to the 12th Man Foundation's Annual Fund, Ben and Kathy have made a commitment of lifetime giving in support of A&M Athletics. 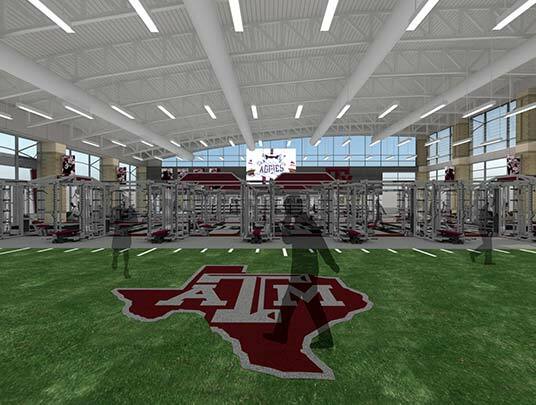 "To know that it's going to a good cause…it's people that have the same vision that you do for Texas A&M, and it's helping student-athletes…it's a good deal." 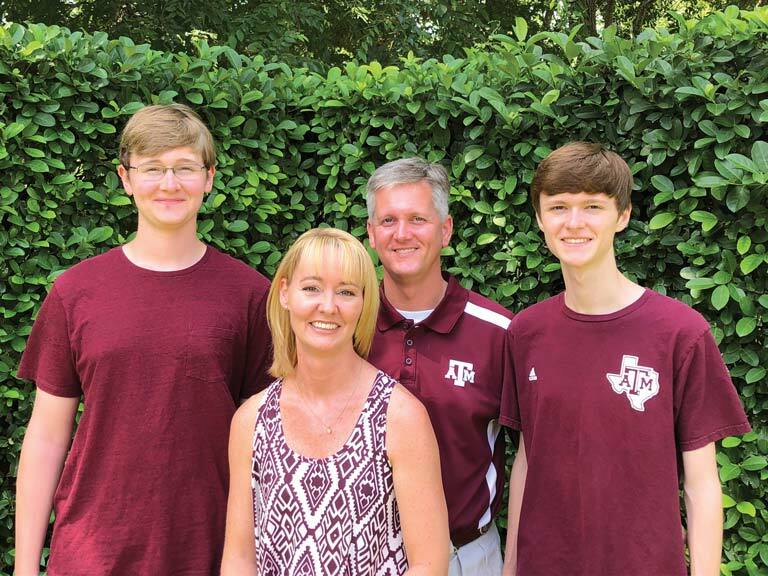 Through their consistent annual donations to the 12th Man Foundation, Ben '92 and Kathy '91 Mathis are helping support Texas A&M Athletics and scholarships for student-athletes. Join Ben and Kathy as Athletic Ambassadors in support of championship athletics.